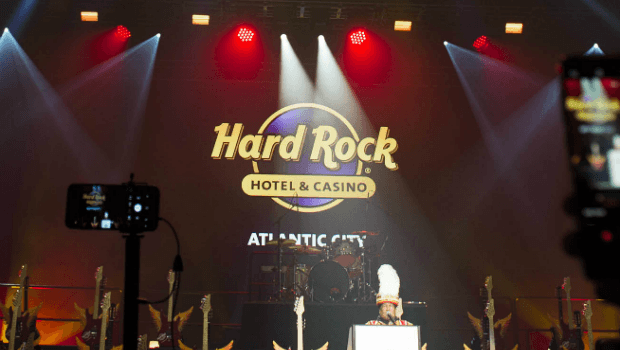 The new Hard Rock Hotel & Casino resort opened in 2018 and has the selling point of being part of the globally famous Hard Rock brand. That means you're guaranteed one of the best-looking new casinos in the world, backed by a company that runs successful ventures. Hard Rock Atlantic City was formerly the site for Trump Taj Mahal Hotel and Casino, whose parent company went bankrupt. Love him or hate him, the president used to strut the floors here. Ocean Resort Casino is another new player for 2018, having taken over the doomed Revel. While that latter casino failed, its closing left Ocean Resort with the keys to an amazing $2.4 billion futuristic glass building. That alone makes it well worth a visit, especially when you factor in the millions Ocean Resort spent on turning the space into one of the planet's leading casino resorts. Bally's history stretches back to 1979, but the current iteration of its casino was created in 2000. One highlight is its Wild West Casino, known for being one of the only fully themed casinos on the East Coast. Bally's is also a must-see for those into the history of Atlantic City's famous places; it sits on Park Place and the Boardwalk—two destinations that appear in the US version of the board game Monopoly. In addition to world-class gaming, the Golden Nugget offers some of the best shows in Atlantic City—its 2,000-seat ballroom and 462-seat theater have featured famous names including Sting, Prince, Steve Martin, Ray Charles, Billy Crystal, Air Supply and Aretha Franklin. The site's online casino became the first site in the United States to legally offer more than 500 games. Like its Las Vegas counterpart, Caesars Atlantic City is a luxury hotel, casino and spa boasting an ancient Roman and Greek theme. Throw in around 3,500 slot machines and one of biggest casinos in the city, and the Caesars name has to be on your bucket list. Borgata is famous for being a casino that aims to outdo the competition—it's the largest hotel in all of New Jersey and the top-grossing casino in Atlantic City. That's no surprise, given that the casino has 161,000 square feet of gaming floors with 4,000 slots and 180 tables. Borgata offers Atlantic City's biggest poker room, which stands at 50-plus poker tables. Resorts will always have bragging rights for being the first casino hotel in Atlantic City. In fact, it became the first legal casino in the United States outside Nevada when it opened in May 1978. In 2011, it also became the first Atlantic City resort to open an LGBT casino nightclub, called Prohibition. Harrah's Resort Atlantic City opened in 1985 and towers 45 stories above the Marina. Among the resort's key features are its poker tables, which welcome big-limit players and host World Series of Poker and World Poker Tour events. Those seeking another highlight should check out the tropical-themed indoor pool, which offers "Pool After Dark" events with live DJs and acts that include the likes of 50 Cent and PSY. The unique selling point of the Tropicana Atlantic City has to be its location—it's right on the famous beach and Boardwalk.The Tropicana offers excellent all-around features, with its world-class casino backed up by its glitzy hotel, restaurants, bars, nightclub, shows, spa and IMAX theater, all part of a $200 million upgrade.